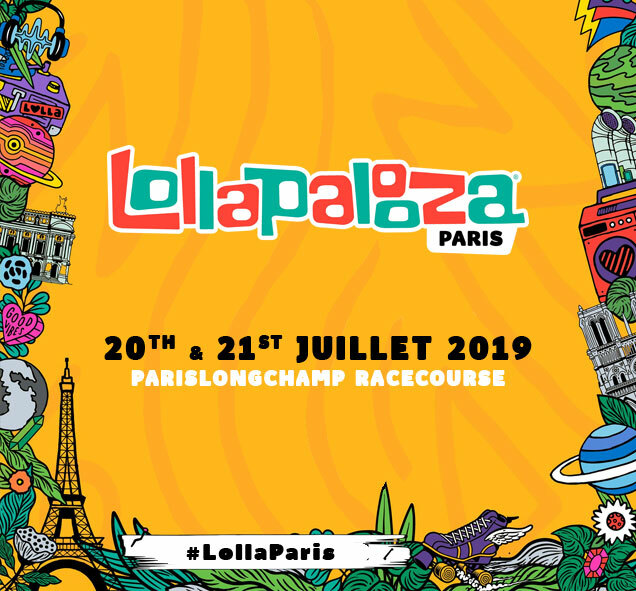 LOLLAPALOOZA PARIS WILL BE AT PARISLONGCHAMP ON SATURDAY 20TH AND SUNDAY 21ST JULY 2019! 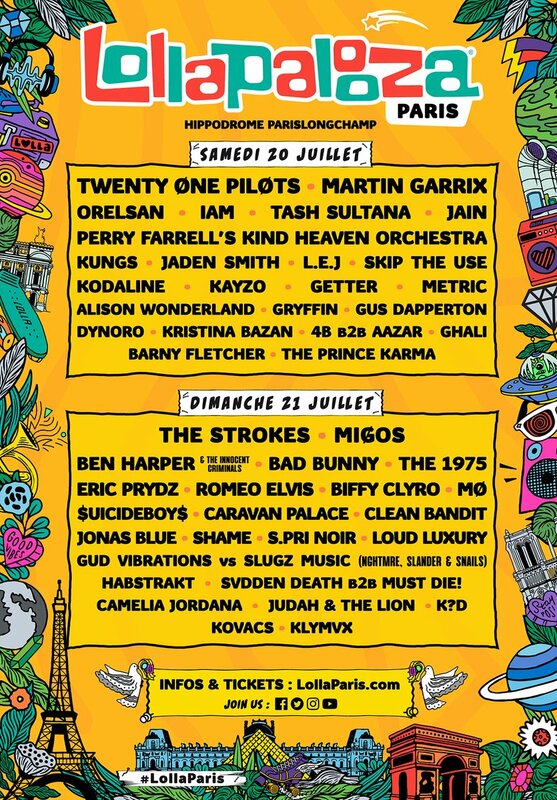 A fantastic new line-up awaits in 2019: The Strokes, TWENTY ØNE PILØTS, Martin Garrix, Bad Bunny, Orelsan, Ben Harper & The Innocent Criminals and a number of other artists are set to step out on stage. 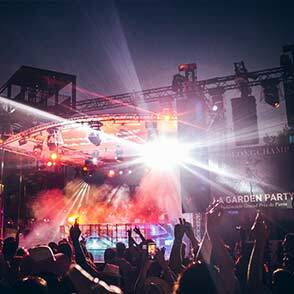 This summer, the world’s largest travelling festival will stop off in Paris for two days to showcase a dazzling and eclectic line-up, which promises to attract spectators from all over the world: from The 1975 to Camelia Jordana, Kungs, IAM, Clean Bandit, Caravan Palace and Jaden Smith, the music world’s biggest names and future stars will take it in turns to wow the crowds on the five stages at Lolla Paris. France’s top chefs tickle the ivories! 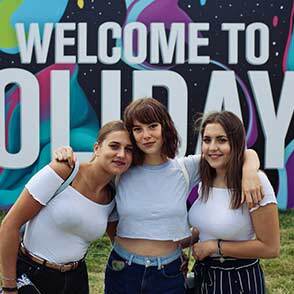 At Lollapalooza, the stars are not only on the stage: Lolla Chef, run by top chef Jean Imbert and his carefully-selected chef friends, is an area dedicated to culinary artistry. On the menu: a whole host of surprises and innovations, treating festival-goers to modern and creative dishes that are sure to whet anyone’s appetite! Music fans and children rule! Kidzapalooza is a special area for families, where parents and children can enjoy a unique Lollapalooza experience. 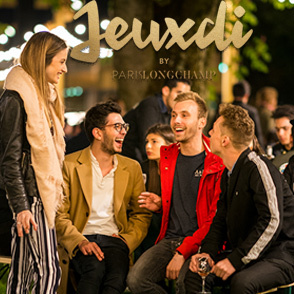 Lolla Paris has championed this innovative project since its outset, and is hosting this child-friendly festival once again in 2019, with plenty of family entertainment and a line-up that promises to delight children and adults alike! Five stages on one planet! Lolla Planète is an area dedicated to sustainable development and raising awareness of environmental issues and humanism. Spectators can learn about the things they can do at home to make their daily routine more respectful of the planet and its inhabitants.